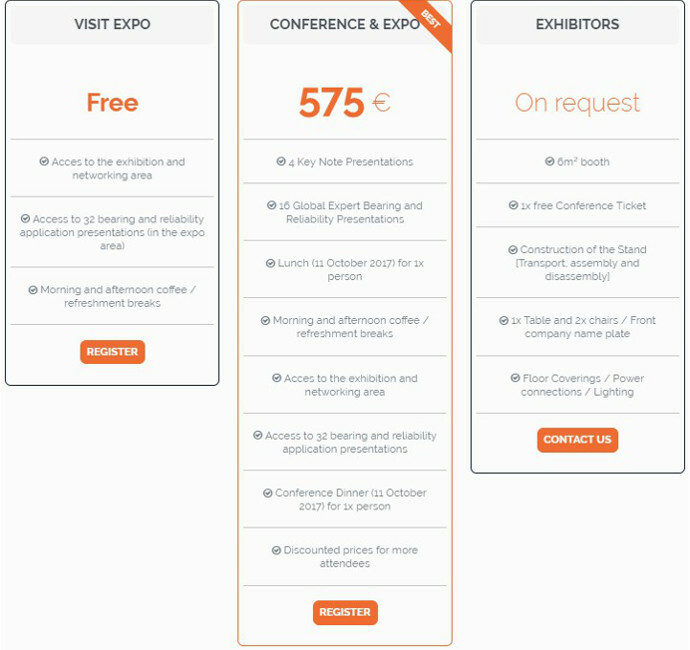 You can register for one of the three subscription option on our wesbite www.bearingreliabilityconference.com or by clicking on the options below. The 4 keynote BRCE speakers “The Global Experts” will share with us 4 hours of enlightening information and state of the art technologies, in the Bearing and Reliability world. These presenters will set the scene for the 2017 Bearing Reliability Conference and Exhibition and pave the way for 16 of the best global professionals to follow. Global Vice President of Value with over 15 years’ experience in being the team leader on understanding, presenting, calculating pricing, and purchasing on Total Cost of Ownership (TCO) or Total Proﬁt Added™ (TPA™), Todd is acknowledged to be a leading subject matter expert in the ﬁeld of value. Why talk about Value in the Industrial Maintenance and Reliability World? Simply put – the bearing is the heart of our rotating equipment and if the bearing fails in any form then the reliability of our equipment starts to suﬀer and so does our ﬁnancial performance, from the slightest of lost or wasted revenue to the possibility of a catastrophic eﬀect on the balance sheet. It makes little diﬀerence if we are users of bearings, manufacturers of bearings, suppliers of bearings or suppliers of bearing related performance and reliability technologies, our tasks are all VALUE related. The value chain is only as strong as its weakest link and Todd will explore with us how our own contributions will ultimately improve bearing and equipment reliability. Bearing and equipment reliability can be improved and bottom line proﬁts can be maximized, however the opposite is also true, bearing and equipment reliability can be decreased and bottom line proﬁts damaged. The key to improved reliability is what one does to the equipment and the bearing or how we treat them during their operational lifetime. It is all about care, the care we apply to the machine or product and in particular, knowing when to apply the care or actions needed to safeguard or protect equipment life. Predictive Maintenance or Pdm as it is oﬅen called, is an important ingredient of any maintenance and reliability strategy, because without it one will never know that the machine has problems until it’s too late. Pdm employs technologies like vibration and bearing monitoring, oil analysis, thermography, ultrasonics,.. to name a few. The key to any successful Pdm strategy is knowing what technologies to employ and how to go about employing them and we are fortunate at this year’s BRCE event to have a truly global guru to address us in this sphere, Chris Hansford. Chris Hansford is the Managing Director of Hansford Sensors Ltd., a qualiﬁed Electro-Mechanical Engineer and has over 35 years experience in vibration and condition monitoring. Chris Hansford is a speaker about predictive maintenance that we all should hear, he has a wealth of knowledge about the developments and trends in the global condition monitoring sphere. He will also set the scene for the 5 Pdm experts who will present directly after him. The importance of the bearing in any rotating machine, is like power in our home, the on/oﬀ switch to all our appliances and food for our bodies. Simply put, if the bearing doesn’t operate correctly, neither does the machine. Bearings come in all shapes, sizes and conﬁgurations – designed to meet the most arduous or toughest operational environments or simply to provide a trouble free machine for the entirety of its life. However, reliable bearing functionality is also dependent on how we treat the equipment, how we operate it, how we maintain it and how we lubricate it. This is maintenance. Maintenance technologies and strategies vary greatly; they are more oﬅen than not dependant on the application, the required machine reliability and the operational environments and we have seen over the years an evolution and in some cases a revolution, in available or employed maintenance strategies. Ranging from ﬁx it when its broke to all forms of diagnostics and control driven strategies, for example like the current evolution of Industry 4.0. For the Maintenance Manager, Reliability Engineer, Maintenance Forman / Supervisor or just the Mechanic, knowing what strategy to employ for one’s own equipment is a complex time consuming issue and if we get it wrong it can be a very expensive lesson. To lead the session on Bearing applications and their environment, we are extremely fortunate to have a Maintenance knowledge expert that can put logic into our understandings and strategy selection processes. Wim Vancauwenberghe will lead and guide us through this section of the conference. Wim Vancauwenberghe is the Director of BEMAS, the Belgian Maintenance Association and has held this position since 2000. He holds a master degree in industrial engineering and is Certiﬁed Maintenance & Reliability Professional by SMRP. Wear is deﬁned as being caused by the relative motion between two surfaces that are in close contact, causing deformation or removal of the material; this known as mechanical wear. Wear can also be caused by other sources such as harsh or reactive chemicals, or cavitation. This deﬁnition of mechanical wear is well known within our industry and we also understand that friction and wear can be reduced through the application of a lubricant; however what is not so commonly understood is how lubrication and it’s application, eﬀects the level of equipment wear. Today with bearings in many applications, life can be inﬁnite, in other words bearings just don’t wear out. 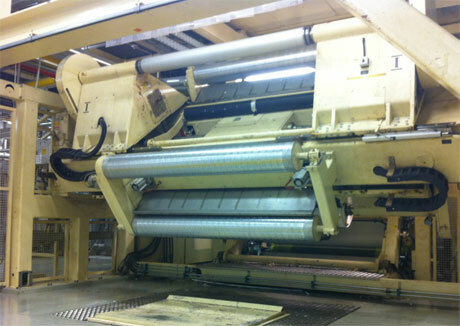 Mechanical wear can be predominantly deﬁned as Abrasive Wear and Adhesive Wear. Abrasive wear is related to the cleanliness of the lubricant and Adhesive Wear is related to the metal to metal contact of the moving components due to a loss of the lubricants viscosity. This section of the conference addresses the causes of mechanical wear and oﬀers lubrication solutions / strategies to eliminate them. We are fortunate to have a very experienced bearing person present this conference sector and set the scene for the speakers that will follow. Ian Knight from Enluse BV. Ian Knight is the principal owner and director of Enluse BV in the Netherlands. Enluse is an organization that began in 2003 and one that specializes in the supply of products and knowledge to help companies improve their plant lubrication practices. Prior to starting Enluse Ian worked for the SKF organization for more than 30 years always in the ﬁelds of service, sales and equipment reliability. Ian is an accomplished presenter and very competent in the ﬁelds of bearing lubrication and equipment reliability. He is a must to listen to.